There's a fair amount of conflict in Moros Eros' music, and that's without mentioning the constant lyrical references to the Almighty. 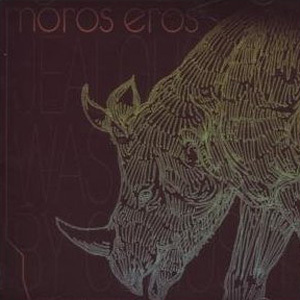 As their name suggests - two Greek words, one for doom, the other the name for the God of love - there's a fair amount of conflict in Moros Eros' music, and that's without mentioning the constant lyrical references to the Almighty. The backbone of their second album is a familiar garage punk set-up, which is immediately offset by a shut-and-cut attitude, welding organs, heavy reverb and layers of guitar together. They provide an engaging, positive and energetic ride, although at times it feels like the weight of theology, mythology and technology threatens a collapse. Luckily the spine is more than strong enough to carry the burden.